TVB Celebrities Competition. : Overall Champions for "TVB Stars Of The Month" at 2009!!!! Overall Champions for "TVB Stars Of The Month" at 2009!!!! Here is the result for Overall Champions for "TVB Stars Of The Month" at 2009!!!! Moses Chan(陈豪) - 3 Times(January, February & June)[JOIN CHAMPIONS]. Ron Ng(吴卓羲) - 3 Times(April, May & November)[JOIN CHAMPIONS]. Roger Kwok(郭晋安) - 2 Times(August & October). Adam Cheng(郑少秋) - 1 Times(July). Bosco Wong(黄宗泽) - 1 Times(September). Raymond Lam(林峰) - 1 Times(March). Wayne Lai(黎耀祥) - 1 Times(December). Elanne Kong(江若琳) - 2 Times(April & May)[JOIN CHAMPIONS]. Tavia Yeung(杨怡) - 2 Times(January & November)[JOIN CHAMPIONS]. Bernice Liu(廖碧兒) - 1 Times(February). Fala Chen(陈法拉) - 1 Times(September). Gigi Lai(黎姿) - 1 Times(June). Myolie Wu(胡杏儿) - 1 Times(March). Niki Chow(周麗淇) - 1 Times(July). Sheren Tang(鄧萃雯) - 1 Times(December). Sonija Kwok(郭羡妮) - 1 Times(October). Yoyo Mung(蒙嘉慧) - 1 Times(August). March Winner: The Rippling Blossom(魚躍在花見). February Winner: 7 Days in Life(隔離七日情). January Winner: Every Move You Make(讀心神探). December Winner: No Regrets(巾幗梟雄之義海豪情). November Winner: Every Move You Make(讀心神探). October Winner: Growing Through Life(摘星之旅). September Winner: A Pillow Case of Mystery II(施公奇案II). August Winner: Ghost Writer(蒲松齡). October Winner: Wayne Lai(黎耀祥). September Winner: Kenneth Ma(马国明). August Winner: Bosco Wong(黄宗泽). July Winner: Ron Ng(吳卓羲). June Winner: Raymond Wong(黃浩然). May Winner: Ruco Chan(陳展鵬). April Winner: Steven Ma(马浚伟). March Winner: Ruco Chan(陳展鵬). February Winner: Bosco Wong(黄宗泽). 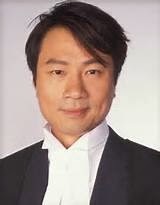 January Winner: Dayo Wong(黃子華). December Winner: Kenneth Ma(马国明). November Winner: Bobby Au-yeung(欧阳震华). October Winner: Michael Tse(谢天华). September Winner: Roger Kwok(郭晋安). August Winner: Raymond Wong(黃浩然). July Winner: Michael Miu(苗僑偉). June Winner: Wayne Lai(黎耀祥). 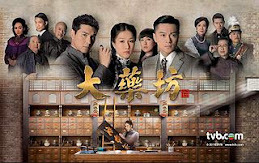 May Winner: Him Law(羅仲謙). April Winner: Sunny Chan(陈锦鸿). March Winner: Michael Tse(谢天华). February Winner: None. January Winner: Wayne Lai(黎耀祥). December Winner: Wayne Lai(黎耀祥). November Winner: Michael Miu(苗僑偉). October Winner: Joe Ma(马德钟). September Winner: Bosco Wong(黄宗泽). August Winner: Moses Chan(陈豪). July Winner: Raymond Wong(黃浩然). June Winner: Steven Ma(马浚伟). May Winner: Michael Tse(谢天华). April Winner: Bowie Lam(林保怡). March Winner: Michael Miu(苗僑偉). February Winner: Raymond Wong(黃浩然). January Winner: Bowie Lam(林保怡). December Winner: Wayne Lai(黎耀祥). November Winner: Ron Ng(吳卓羲). October Winner: Bobby Au-yeung(欧阳震华). September Winner: Bosco Wong(黄宗泽). August Winner: Michael Tse(谢天华). July Winner: Kevin Cheng(郑嘉颖). June Winner: Ron Ng(Ron Ng(吳卓羲). May Winner: Bosco Wong(黄宗泽). April Winner: None. March Winner: Steven Ma(马浚伟). February Winner: Steven Ma(马浚伟). January Winner: Steven Ma(马浚伟). December Winner: Wayne Lai(黎耀祥). November Winner: Bowie Lam(林保怡). October Winner: Raymond Lam(林峰). September Winner: Bobby Au-yeung(歐陽震華). August Winner: Steven Ma(马浚伟). July Winner: Raymond Lam(林峰). June Winner: Moses Chan(陈豪). May Winner: Kevin Cheng(郑嘉颖). April Winner: Roger Kwok(郭晋安). March Winner: Wong Hei(王喜). February Winner: Ray Lui(呂良偉).January Winner: Gallen Lo(羅嘉良). Past Winner for Year 2009 - Click Here. October Winner: Natalie Tong(唐詩詠). September Winner: Rosina Lam(林夏薇). August Winner: Nancy Wu(胡定欣). July Winner: Myolie Wu(胡杏儿). June Winner: Priscilla Wong(黃翠如). May Winner: Aimee Chan(陳茵媺). April Winner: Tavia Yeung(杨怡). March Winner: Rosina Lam(林夏薇). February Winner: Eliza Sam(岑麗香). January Winner: Kate Tsui(徐子珊). December Winner: Tavia Yeung(杨怡). November Winner: Esther Kwan(關詠荷). October Winner: Kate Tsui(徐子珊). September Winner: Priscilla Wong(黃翠如). August Winner: Priscilla Wong(黃翠如). July Winner: Niki Chow (周麗淇). June Winner: Sire Ma(馬賽). May Winner: Toby Leung(梁靖琪). April Winner: Sonija Kwok(郭羡妮). March Winner: Tavia Yeung(杨怡). February Winner: None. January Winner: Natalie Tong(唐詩詠). December Winner: Natalie Tong(唐詩詠). November Winner: Kate Tsui(徐子珊). October Winner: Jessica Hsuan(宣萱). September Winner: Linda Chung(钟嘉欣). August Winner: Natalie Tong(唐詩詠). July Winner: Natalie Tong(唐詩詠). June Winner: Linda Chung(钟嘉欣). May Winner: Niki Chow (周麗淇). April Winner: Linda Chung(钟嘉欣). March Winner: Sonija Kwok(郭羨妮). February Winner: Niki Chow (周麗淇). January Winner: Charmaine Sheh(佘诗曼). December Winner: Maggie Cheung(張可頤). November Winner: Kate Tsui(徐子珊). October Winner: Tavia Yeung(杨怡). September Winner: Kate Tsui(徐子珊). August Winner: Fala Chen(陳法拉). July Winner: Kate Tsui(徐子珊). June Winner: Elanne Kong(江若琳). May Winner: Liu Xuan(刘璇). April Winner: None. March Winner: Myolie Wu(胡杏儿). February Winner: Sonija Kwok(郭羡妮). January Winner: Fala Chen(陳法拉). December Winner: Sheren Tang(鄧萃雯). November Winner: Aimee Chan(陳茵媺). October Winner: Toby Leung(梁靖琪). September Winner: Elanne Kong(江若琳). August Winner: Linda Chung(钟嘉欣). July Winner: Linda Chung(钟嘉欣). June Winner: Ada Choi(蔡少芬). May Winner: Natalie Tong(唐詩詠). April Winner: Tavia Yeung(杨怡). March Winner: Selena Li(李詩韻). February Winner: Kenix Kwok(郭可盈). January Winner: Anita Yuen(袁咏仪). Past Winner for Year 2009 - Click Here. Thanks For Sending in votes by filling in the form, it is closed now, we will place it back here again on December 2014. ---------------Polls Archived:---------------Round 1: "TVB D.S.O.T.M" for (Aug).Round 2: "TVB D.S.O.T.M" for (Aug).F.Round: "TVB D.S.O.T.M" for (Aug).Round 1: "TVB D.S.O.T.M" for (Sep).Round 2: "TVB D.S.O.T.M" for (Sep).F.Round: "TVB D.S.O.T.M" for (Sep).Round 1: "TVB D.S.O.T.M" for (Oct).Round 2: "TVB D.S.O.T.M" for (Oct).F.Round: "TVB D.S.O.T.M" for (Oct).Round 1: "TVB D.S.O.T.M" for (Nov).Round 2: "TVB D.S.O.T.M" for (Nov).F.Round: "TVB D.S.O.T.M" for (Nov).Round 1: "TVB D.S.O.T.M" for (Dec).Round 2: "TVB D.S.O.T.M" for (Dec).F.Round: "TVB D.S.O.T.M" for (Dec).Round 1: "TVB D.S.O.T.M" for (Jan).Round 2: "TVB D.S.O.T.M" for (Jan).F.Round: "TVB D.S.O.T.M" for (Jan).Round 1: "TVB D.S.O.T.M" for (Feb).Round 2: "TVB D.S.O.T.M" for (Feb).F.Round: "TVB D.S.O.T.M" for (Feb).Round 1: "TVB D.S.O.T.M" for (Mar).Round 2: "TVB D.S.O.T.M" for (Mar).F.Round: "TVB D.S.O.T.M" for (Mar). Final Round: Who is your favourite "TVB Stars Of The Month November" for Male? Final Round: Who is your favourite "TVB Stars Of The Month November" for Female? ---------------Polls Archived:---------------Round 1: S.O.T.M(Aug) Male.Round 1: S.O.T.M(Aug) Female.Round 2: S.O.T.M(Aug) Male.Round 2: S.O.T.M(Aug) Female.Round 3: S.O.T.M(Aug) Male.Round 3: S.O.T.M(Aug) Female.Final Round: S.O.T.M(Aug) Male.Final Round: S.O.T.M(Aug) Female.Round 1: S.O.T.M(Sept) Male.Round 1: S.O.T.M(Sept) Female.Round 2(R.R): S.O.T.M(Sept) Male.Round 2(R.R): S.O.T.M(Sept) Female.Final Round: S.O.T.M(Sept) Male.Final Round: S.O.T.M(Sept) Female.Round 1: S.O.T.M(Oct) Male.Round 1: S.O.T.M(Oct) Female.Round 2(R.R): S.O.T.M(Oct) Male.Round 2(R.R): S.O.T.M(Oct) Female.Final Round: S.O.T.M(Oct) Male.Final Round: S.O.T.M(Oct) Female.Round 1: S.O.T.M(Nov) Male.Round 1: S.O.T.M(Nov) Female.Round 2(R.R): S.O.T.M(Nov) Male.Round 2(R.R): S.O.T.M(Nov) Female.Final Round: S.O.T.M(Nov) Male.Final Round: S.O.T.M(Nov) Female.Round 1: S.O.T.M(Dec) Male.Round 1: S.O.T.M(Dec) Female.Round 2(R.R): S.O.T.M(Dec) Male.Round 2(R.R): S.O.T.M(Dec) Female.Final Round: S.O.T.M(Dec) Male.Final Round: S.O.T.M(Dec) Female.Round 1: S.O.T.M(Jan) Male.Round 1: S.O.T.M(Jan) Female.Round 2(R.R): S.O.T.M(Jan) Male.Round 2(R.R): S.O.T.M(Jan) Female.Final Round: S.O.T.M(Jan) Male.Final Round: S.O.T.M(Jan) Female.Round 1: S.O.T.M(Feb) Male.Round 1: S.O.T.M(Feb) Female.Round 2(R.R): S.O.T.M(Feb) Male.Round 2(R.R): S.O.T.M(Feb) Female.Final Round: S.O.T.M(Feb) Male.Final Round: S.O.T.M(Feb) Female.Round 1: S.O.T.M(Mar) Male.Round 1: S.O.T.M(Mar) Female.Round 2(R.R): S.O.T.M(Mar) Male.Round 2(R.R): S.O.T.M(Mar) Female.Final Round: S.O.T.M(Mar) Male.Final Round: S.O.T.M(Mar) Female.Round 1: S.O.T.M(Apr) Male.Round 1: S.O.T.M(Apr) Female.Round 2(R.R): S.O.T.M(Apr) Male.Round 2(R.R): S.O.T.M(Apr) Female.Final Round: S.O.T.M(Apr) Male.Final Round: S.O.T.M(Apr) Female.Round 1: S.O.T.M(May) Male.Round 1: S.O.T.M(May) Female.Round 2(R.R): S.O.T.M(May) Male.Round 2(R.R): S.O.T.M(May) Female.Final Round: S.O.T.M(May) Male.Final Round: S.O.T.M(May) Female.Round 1: S.O.T.M(June) Male.Round 1: S.O.T.M(June) Female.Round 2(R.R): S.O.T.M(June) Male.Round 2(R.R): S.O.T.M(June) Female.Final Round: S.O.T.M(June) Male.Final Round: S.O.T.M(June) Female.Round 1: S.O.T.M(July) Male.Round 1: S.O.T.M(July) Female.Round 2(R.R): S.O.T.M(July) Male.Round 2(R.R): S.O.T.M(July) Female.Final Round: S.O.T.M(July) Male.Final Round: S.O.T.M(July) Female.Round 1: S.O.T.M(Aug) Male.Round 1: S.O.T.M(Aug) Female.Round 2(R.R): S.O.T.M(Aug) Male.Round 2(R.R): S.O.T.M(Aug) Female.Final Round: S.O.T.M(Aug) Male.Final Round: S.O.T.M(Aug) Female.Round 1: S.O.T.M(Sept) Male.Round 1: S.O.T.M(Sept) Female.Round 2(R.R): S.O.T.M(Sept) Male.Round 2(R.R): S.O.T.M(Sept) Female.Final Round: S.O.T.M(Sept) Male.Final Round: S.O.T.M(Sept) Female.Round 1: S.O.T.M(Oct) Male.Round 1: S.O.T.M(Oct) Female.Round 2(R.R): S.O.T.M(Oct) Male.Round 2(R.R): S.O.T.M(Oct) Female.Final Round: S.O.T.M(Oct) Male.Final Round: S.O.T.M(Oct) Female.Round 1: S.O.T.M(Nov) Male.Round 1: S.O.T.M(Nov) Female.Round 2(R.R): S.O.T.M(Nov) Male.Round 2(R.R): S.O.T.M(Nov) Female.Final Round: S.O.T.M(Nov) Male.Final Round: S.O.T.M(Nov) Female.Round 1: S.O.T.M(Dec) Male.Round 1: S.O.T.M(Dec) Female.Round 2(R.R): S.O.T.M(Dec) Male.Round 2(R.R): S.O.T.M(Dec) Female.Final Round: S.O.T.M(Dec) Male.Final Round: S.O.T.M(Dec) Female.Round 1: S.O.T.M(Jan) Male.Round 1: S.O.T.M(Jan) Female.Round 2(R.R): S.O.T.M(Jan) Male.Round 2(R.R): S.O.T.M(Jan) Female.Final Round: S.O.T.M(Jan) Male.Final Round: S.O.T.M(Jan) Female.Round 1: S.O.T.M(Feb) Male.Round 1: S.O.T.M(Feb) Female.Round 2(R.R): S.O.T.M(Feb) Male.Round 2(R.R): S.O.T.M(Feb) Female.Final Round: S.O.T.M(Feb) Male.Final Round: S.O.T.M(Feb) Female.Round 1: S.O.T.M(Mar) Male.Round 1: S.O.T.M(Mar) Female.Round 2(R.R): S.O.T.M(Mar) Male.Round 2(R.R): S.O.T.M(Mar) Female.Final Round: S.O.T.M(Mar) Male.Final Round: S.O.T.M(Mar) Female.Round 1: S.O.T.M(Apr) Male.Round 1: S.O.T.M(Apr) Female.Round 2(R.R): S.O.T.M(Apr) Male.Round 2(R.R): S.O.T.M(Apr) Female.Final Round: S.O.T.M(Apr) Male.Final Round: S.O.T.M(Apr) Female.Round 1: S.O.T.M(May) Male.Round 1: S.O.T.M(May) Female.Round 2(R.R): S.O.T.M(May) Male.Round 2(R.R): S.O.T.M(May) Female.Final Round: S.O.T.M(May) Male.Final Round: S.O.T.M(May) Female.Round 1: S.O.T.M(June) Male.Round 1: S.O.T.M(June) Female.Round 2(R.R): S.O.T.M(June) Male.Round 2(R.R): S.O.T.M(June) Female.Final Round: S.O.T.M(June) Male.Final Round: S.O.T.M(June) Female.Round 1: S.O.T.M(July) Male.Round 1: S.O.T.M(July) Female.Round 2(R.R): S.O.T.M(July) Male.Round 2(R.R): S.O.T.M(July) Female.Final Round: S.O.T.M(July) Male.Final Round: S.O.T.M(July) Female.Round 1: S.O.T.M(Aug) Male.Round 1: S.O.T.M(Aug) Female.Round 2(R.R): S.O.T.M(Aug) Male.Round 2(R.R): S.O.T.M(Aug) Female.Final Round: S.O.T.M(Aug) Male.Final Round: S.O.T.M(Aug) Female.Round 1: S.O.T.M(Sep) Male.Round 1: S.O.T.M(Sep) Female.Round 2(R.R): S.O.T.M(Sep) Male.Round 2(R.R): S.O.T.M(Sep) Female.Final Round: S.O.T.M(Sep) Male.Final Round: S.O.T.M(Sep) Female.Round 1: S.O.T.M(Oct) Male.Round 1: S.O.T.M(Oct) Female.Round 2(R.R): S.O.T.M(Oct) Male.Round 2(R.R): S.O.T.M(Oct) Female.Final Round: S.O.T.M(Oct) Male.Final Round: S.O.T.M(Oct) Female.Round 1: S.O.T.M(Nov) Male.Round 1: S.O.T.M(Nov) Female.Round 2(R.R): S.O.T.M(Nov) Male.Round 2(R.R): S.O.T.M(Nov) Female.Final Round: S.O.T.M(Nov) Male.Final Round: S.O.T.M(Nov) Female.Round 1: S.O.T.M(Dec) Male.Round 1: S.O.T.M(Dec) Female.Round 2(R.R): S.O.T.M(Dec) Male.Round 2(R.R): S.O.T.M(Dec) Female.Final Round: S.O.T.M(Dec) Male.Final Round: S.O.T.M(Dec) Female.Round 1: S.O.T.M(Jan) Male.Round 1: S.O.T.M(Jan) Female.Round 2(R.R): S.O.T.M(Jan) Male.Round 2(R.R): S.O.T.M(Jan) Female.Final Round: S.O.T.M(Jan) Male.Final Round: S.O.T.M(Jan) Female.Round 1: S.O.T.M(Feb) Male.Round 1: S.O.T.M(Feb) Female.Round 2(R.R): S.O.T.M(Feb) Male.Round 2(R.R): S.O.T.M(Feb) Female.Final Round: S.O.T.M(Feb) Male.Final Round: S.O.T.M(Feb) Female.Round 1: S.O.T.M(Mar) Male.Round 1: S.O.T.M(Mar) Female.Round 2(R.R): S.O.T.M(Mar) Male.Round 2(R.R): S.O.T.M(Mar) Female.Final Round: S.O.T.M(Mar) Male.Final Round: S.O.T.M(Mar) Female.Round 1: S.O.T.M(May) Male.Round 1: S.O.T.M(May) Female.Round 2(R.R): S.O.T.M(May) Male.Round 2(R.R): S.O.T.M(May) Female.Final Round: S.O.T.M(May) Male.Final Round: S.O.T.M(May) Female.Round 1: S.O.T.M(June) Male.Round 1: S.O.T.M(June) Female.Round 2(R.R): S.O.T.M(June) Male.Round 2(R.R): S.O.T.M(June) Female.Final Round: S.O.T.M(June) Male.Final Round: S.O.T.M(June) Female.Round 1: S.O.T.M(July) Male.Round 1: S.O.T.M(July) Female.Round 2(R.R): S.O.T.M(July) Male.Round 2(R.R): S.O.T.M(July) Female.Final Round: S.O.T.M(July) Male.Final Round: S.O.T.M(July) Female.Round 1: S.O.T.M(Aug) Male.Round 1: S.O.T.M(Aug) Female.Round 2(R.R): S.O.T.M(Aug) Male.Round 2(R.R): S.O.T.M(Aug) Female.Final Round: S.O.T.M(Aug) Male.Final Round: S.O.T.M(Aug) Female.Round 1: S.O.T.M(Sep) Male.Round 1: S.O.T.M(Sep) Female.Round 2(R.R): S.O.T.M(Sep) Male.Round 2(R.R): S.O.T.M(Sep) Female.Final Round: S.O.T.M(Sep) Male.Final Round: S.O.T.M(Sep) Female.Round 1: S.O.T.M(Oct) Male.Round 1: S.O.T.M(Oct) Female.Round 2(R.R): S.O.T.M(Oct) Male.Round 2(R.R): S.O.T.M(Oct) Female.Final Round: S.O.T.M(Oct) Male.Final Round: S.O.T.M(Oct) Female.Round 1: S.O.T.M(Nov) Male.Round 1: S.O.T.M(Nov) Female.Round 2(R.R): S.O.T.M(Nov) Male.Round 2(R.R): S.O.T.M(Nov) Female.Final Round: S.O.T.M(Nov) Male.Final Round: S.O.T.M(Nov) Female.Round 1: S.O.T.M(Dec) Male.Round 1: S.O.T.M(Dec) Female.Round 2(R.R): S.O.T.M(Dec) Male.Round 2(R.R): S.O.T.M(Dec) Female.Final Round: S.O.T.M(Dec) Male.Final Round: S.O.T.M(Dec) Female.Round 1: S.O.T.M(Jan) Male.Round 1: S.O.T.M(Jan) Female.Round 2(R.R): S.O.T.M(Jan) Male.Round 2(R.R): S.O.T.M(Jan) Female.Final Round: S.O.T.M(Jan) Male.Final Round: S.O.T.M(Jan) Female.Round 1: S.O.T.M(Feb) Male.Round 1: S.O.T.M(Feb) Female.Round 2(R.R): S.O.T.M(Feb) Male.Round 2(R.R): S.O.T.M(Feb) Female.Final Round: S.O.T.M(Feb) Male.Final Round: S.O.T.M(Feb) Female.Round 1: S.O.T.M(Mar) Male.Round 1: S.O.T.M(Mar) Female.Round 2(R.R): S.O.T.M(Mar) Male.Round 2(R.R): S.O.T.M(Mar) Female.Final Round: S.O.T.M(Mar) Male.Final Round: S.O.T.M(Mar) Female.Round 1: S.O.T.M(Apr) Male.Round 1: S.O.T.M(Apr) Female.Round 2(R.R): S.O.T.M(Apr) Male.Round 2(R.R): S.O.T.M(Apr) Female.Final Round: S.O.T.M(Apr) Male.Final Round: S.O.T.M(Apr) Female.Round 1: S.O.T.M(May) Male.Round 1: S.O.T.M(May) Female.Round 2(R.R): S.O.T.M(May) Male.Round 2(R.R): S.O.T.M(May) Female.Final Round: S.O.T.M(May) Male.Final Round: S.O.T.M(May) Female.Round 1: S.O.T.M(June) Male.Round 1: S.O.T.M(June) Female.Round 2(R.R): S.O.T.M(June) Male.Round 2(R.R): S.O.T.M(June) Female.Final Round: S.O.T.M(June) Male.Final Round: S.O.T.M(June) Female.Round 1: S.O.T.M(July) Male.Round 1: S.O.T.M(July) Female.Round 2(R.R): S.O.T.M(July) Male.Round 2(R.R): S.O.T.M(July) Female.Final Round: S.O.T.M(July) Male.Final Round: S.O.T.M(July) Female.Round 1: S.O.T.M(Aug) Male.Round 1: S.O.T.M(Aug) Female.Round 2(R.R): S.O.T.M(Aug) Male.Round 2(R.R): S.O.T.M(Aug) Female.Final Round: S.O.T.M(Aug) Male.Final Round: S.O.T.M(Aug) Female.Round 1: S.O.T.M(Sep) Male.Round 1: S.O.T.M(Sep) Female.Round 2(R.R): S.O.T.M(Sep) Male.Round 2(R.R): S.O.T.M(Sep) Female.Final Round: S.O.T.M(Sep) Male.Final Round: S.O.T.M(Sep) Female.Round 1: S.O.T.M(Oct) Male.Round 1: S.O.T.M(Oct) Female.Round 2(R.R): S.O.T.M(Oct) Male.Round 2(R.R): S.O.T.M(Oct) Female.Final Round: S.O.T.M(Oct) Male.Final Round: S.O.T.M(Oct) Female.Round 1: S.O.T.M(Nov) Male.Round 1: S.O.T.M(Nov) Female.Round 2(R.R): S.O.T.M(Nov) Male.Round 2(R.R): S.O.T.M(Nov) Female.Final Round: S.O.T.M(Nov) Male.Final Round: S.O.T.M(Nov) Female.Round 1: S.O.T.M(Dec) Male.Round 1: S.O.T.M(Dec) Female.Round 2(R.R): S.O.T.M(Dec) Male.Round 2(R.R): S.O.T.M(Dec) Female.Final Round: S.O.T.M(Dec) Male.Final Round: S.O.T.M(Dec) Female.Round 1: S.O.T.M(Jan) Male.Round 1: S.O.T.M(Jan) Female.Round 2(R.R): S.O.T.M(Jan) Male.Round 2(R.R): S.O.T.M(Jan) Female.Final Round: S.O.T.M(Jan) Male.Final Round: S.O.T.M(Jan) Female.Round 1: S.O.T.M(Mar) Male.Round 1: S.O.T.M(Mar) Female.Round 2(R.R): S.O.T.M(Mar) Male.Round 2(R.R): S.O.T.M(Mar) Female.Final Round: S.O.T.M(Mar) Male.Final Round: S.O.T.M(Mar) Female.Round 1: S.O.T.M(Apr) Male.Round 1: S.O.T.M(Apr) Female.Round 2(R.R): S.O.T.M(Apr) Male.Round 2(R.R): S.O.T.M(Apr) Female.Final Round: S.O.T.M(Apr) Male.Final Round: S.O.T.M(Apr) Female.Round 1: S.O.T.M(May) Male.Round 1: S.O.T.M(May) Female.Round 2(R.R): S.O.T.M(May) Male.Round 2(R.R): S.O.T.M(May) Female.Final Round: S.O.T.M(May) Male.Final Round: S.O.T.M(May) Female.Round 1: S.O.T.M(June) Male.Round 1: S.O.T.M(June) Female.Round 2(R.R): S.O.T.M(June) Male.Round 2(R.R): S.O.T.M(June) Female.Final Round: S.O.T.M(June) Male.Final Round: S.O.T.M(June) Female.Round 1: S.O.T.M(July) Male.Round 1: S.O.T.M(July) Female.Round 2(R.R): S.O.T.M(July) Male.Round 2(R.R): S.O.T.M(July) Female.Final Round: S.O.T.M(July) Male.Final Round: S.O.T.M(July) Female.Round 1: S.O.T.M(Aug) Male.Round 1: S.O.T.M(Aug) Female.Round 2(R.R): S.O.T.M(Aug) Male.Round 2(R.R): S.O.T.M(Aug) Female.Final Round: S.O.T.M(Aug) Male.Final Round: S.O.T.M(Aug) Female.Round 1: S.O.T.M(Sep) Male.Round 1: S.O.T.M(Sep) Female.Round 2(R.R): S.O.T.M(Sep) Male.Round 2(R.R): S.O.T.M(Sep) Female.Final Round: S.O.T.M(Sep) Male.Final Round: S.O.T.M(Sep) Female.Round 1: S.O.T.M(Oct) Male.Round 1: S.O.T.M(Oct) Female.Round 2(R.R): S.O.T.M(Oct) Male.Round 2(R.R): S.O.T.M(Oct) Female.Final Round: S.O.T.M(Oct) Male.Final Round: S.O.T.M(Oct) Female.Round 1: S.O.T.M(Nov) Male.Round 1: S.O.T.M(Nov) Female.Round 2(R.R): S.O.T.M(Nov) Male.Round 2(R.R): S.O.T.M(Nov) Female.Final Round: S.O.T.M(Nov) Male.Final Round: S.O.T.M(Nov) Female.Round 1: S.O.T.M(Dec) Male.Round 1: S.O.T.M(Dec) Female.Round 2(R.R): S.O.T.M(Dec) Male.Round 2(R.R): S.O.T.M(Dec) Female.Final Round: S.O.T.M(Dec) Male.Final Round: S.O.T.M(Dec) Female.Round 1: S.O.T.M(Jan) Male.Round 1: S.O.T.M(Jan) Female.Round 2(R.R): S.O.T.M(Jan) Male.Round 2(R.R): S.O.T.M(Jan) Female.Final Round: S.O.T.M(Jan) Male.Final Round: S.O.T.M(Jan) Female.Round 1: S.O.T.M(Feb) Male.Round 1: S.O.T.M(Feb) Female.Round 2(R.R): S.O.T.M(Feb) Male.Round 2(R.R): S.O.T.M(Feb) Female.Final Round: S.O.T.M(Feb) Male.Final Round: S.O.T.M(Feb) Female.Round 1: S.O.T.M(Mar) Male.Round 1: S.O.T.M(Mar) Female.Round 2(R.R): S.O.T.M(Mar) Male.Round 2(R.R): S.O.T.M(Mar) Female.Final Round: S.O.T.M(Mar) Male.Final Round: S.O.T.M(Mar) Female.Round 1: S.O.T.M(Apr) Male.Round 1: S.O.T.M(Apr) Female.Round 2(R.R): S.O.T.M(Apr) Male.Round 2(R.R): S.O.T.M(Apr) Female.Final Round: S.O.T.M(Apr) Male.Final Round: S.O.T.M(Apr) Female.Round 1: S.O.T.M(May) Male.Round 1: S.O.T.M(May) Female.Round 2(R.R): S.O.T.M(May) Male.Round 2(R.R): S.O.T.M(May) Female.Final Round: S.O.T.M(May) Male.Final Round: S.O.T.M(May) Female.Round 1: S.O.T.M(June) Male.Round 1: S.O.T.M(June) Female.Round 2(R.R): S.O.T.M(June) Male.Round 2(R.R): S.O.T.M(June) Female.Final Round: S.O.T.M(June) Male.Final Round: S.O.T.M(June) Female.Round 1: S.O.T.M(July) Male.Round 1: S.O.T.M(July) Female.Round 2(R.R): S.O.T.M(July) Male.Round 2(R.R): S.O.T.M(July) Female.Final Round: S.O.T.M(July) Male.Final Round: S.O.T.M(July) Female.Round 1: S.O.T.M(Aug) Male.Round 1: S.O.T.M(Aug) Female.Round 2(R.R): S.O.T.M(Aug) Male.Round 2(R.R): S.O.T.M(Aug) Female.Final Round: S.O.T.M(Aug) Male.Final Round: S.O.T.M(Aug) Female.Round 1: S.O.T.M(Sep) Male.Round 1: S.O.T.M(Sep) Female.Round 2(R.R): S.O.T.M(Sep) Male.Round 2(R.R): S.O.T.M(Sep) Female.Final Round: S.O.T.M(Sep) Male.Final Round: S.O.T.M(Sep) Female.Round 1: S.O.T.M(Oct) Male.Round 1: S.O.T.M(Oct) Female.Round 2(R.R): S.O.T.M(Oct) Male.Round 2(R.R): S.O.T.M(Oct) Female.Final Round: S.O.T.M(Oct) Male.Final Round: S.O.T.M(Oct) Female.Round 1: S.O.T.M(Nov) Male.Round 1: S.O.T.M(Nov) Female.Round 2(R.R): S.O.T.M(Nov) Male.Round 2(R.R): S.O.T.M(Nov) Female.Final Round: S.O.T.M(Nov) Male.Final Round: S.O.T.M(Nov) Female. Our One and Only Myolie Wu Forum. TVB: A Way of Thinking. Crunchyroll - Feed Your Need!!! !